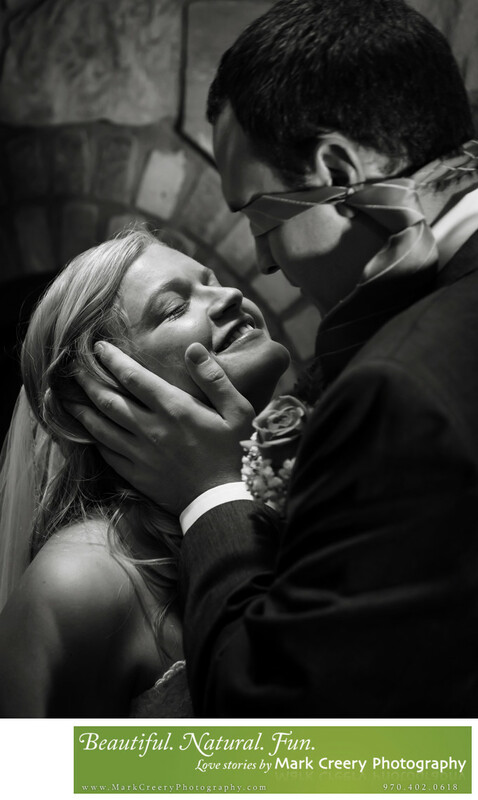 Colorado wedding photographer Mark Creery captures all the moments of your wedding day with style. Here the couple had a meeting before the ceremony to exchange gifts without seeing each other around a corner. But then the groom spontaneously pulled his tie over his eyes and came around to find his bride and give her a big kiss. How romantic! So it was sort of like a 'First Look' without the groom seeing his bride.